Nashville CANCELLED! Will Jonathan Jackson Return to General Hospital? Nashville CANCELED! Will Jonathan Jackson Return to General Hospital? Jonathan Jackson’s primetime show, Nashville was canceled on ABC, found new life on CMT, and now comes word from Jackson that the show has been canceled there as well. The actor shared the news with his Twitter followers (see below). 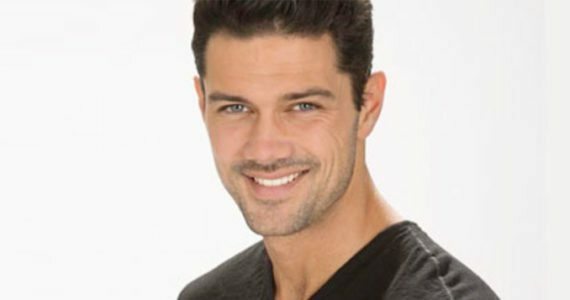 So, that now leaves Jackson without a huge conflict keeping him from returning to General Hospital (GH) as Lucky, a role he created back in 1993 and last played in 2015. Does that mean he will return? Only time will tell but there’s certainly plenty of story waiting for him if he does come back. After all, Lucky has barely seen his and Elizabeth’s(Rebecca Herbst) son Aiden, which considering how pivotal his own father was in his life, seems a bit out of character. Speaking of Elizabeth, she’s in love with Franco (Roger Howarth), so a triangle could prove a lot of fun. We all know how prone to jealousy Franco is. He’s losing it as we speak at the mere thought that Original Recipe Jason could possibly look Liz’s way. What would he do if her first love and yet another father to one of her children returned to town? During Lucky’s time away, his brother Nikolas (Tyler Christopher) was killed, his mother Laura (Genie Francis) has gotten engaged to Kevin (Jon Lindstrom), and sister Lulu’s (Emme Rylan) family has grown. Needless to say, there is plenty waiting for him back in Port Charles. The big question remains — will Jonathan Jackson want to return? Stay tuned.